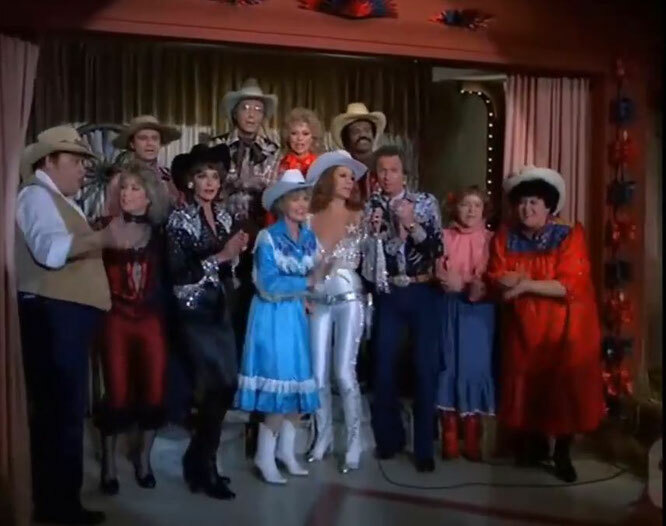 Dottie West and Tanya Tucker performs "Rocky Top",live on The Love Boat. "Rocky Top" is an American country and bluegrass song written by Felice and Boudleaux Bryant in 1967 and first recorded by the Osborne Brothers later that same year. The song, which is a city dweller's lamentation over the loss of a simpler and freer existence in the hills of Tennessee, is one of Tennessee's ten official state songs and has been recorded by dozens of artists from multiple musical genres worldwide since its publication. In U.S. college athletics, "Rocky Top" is associated with the Tennessee Volunteers of the University of Tennessee (UT), whose Pride of the Southland Band has played a marching band version of the song at the school's sporting events since the early 1970s. The Osborne Brothers' 1967 bluegrass version of the song reached No. 33 on the U.S. Country charts, and Lynn Anderson's 1970 version peaked at No. 17 on the U.S. Country charts. In 2005, The Atlanta Journal-Constitution ranked "Rocky Top" number seven on its list of 100 Songs of the South.